As the leading provider of supply chain management solutions, Oracle is committed to bringing enterprise-grade SCM functionality to the cloud. When taking a fresh look at customer challenges, Oracle saw a landscape of increasingly complex demands. This included aging systems struggling to keep up with the realities of shorter product lifecycles and life spans. The result, a better, broader, faster approach to supply chain management — powered by machine learning and the cloud. 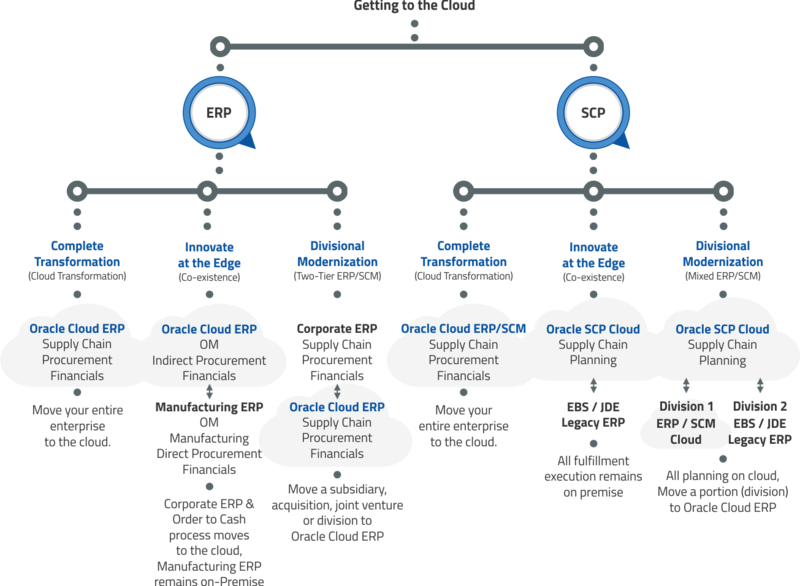 Built from the ground up for the cloud and the modern supply chain, Oracle SCM Cloud delivers the visibility, insights, and capabilities needed to create your own intelligent supply chain. Enable new operational thinking and support changing networks to free resources to perform more value-added activities. Link related business processes to create efficiencies and enable greater transparency. Unified security framework reduces risk for all your business applications. Today’s leading-edge supply chain management systems are end-to-end product suites that help businesses manage and optimize their supply chains as one complete ecosystem. Because they are fully integrated cloud technologies, these systems enable 100 percent visibility across the supply chain and scale up or down to react to market reality. How Can Supply Chain Management Cloud Transform Your Business? Through SCM Cloud, companies can innovate their operations, better connect people and processes, and simplify interactions and user activities. This includes, supply and demand planning, manufacturing, product lifecycle management and innovation, transportation management, procurement, global trade, warehouse management, inventory optimization and much more. As a result of business alignment and SCM Cloud, companies can transform traditional supply chains into integrated value chains. What the video to learn how Oracle Cloud technology will modernize your SCM processes, including product development, order fulfillment, inventory management, sourcing, manufacturing, and delivery. 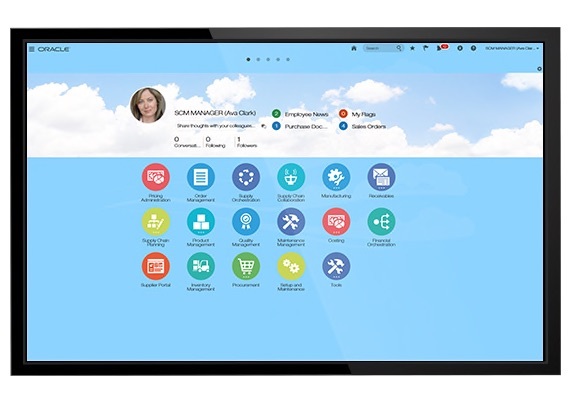 Oracle SCM Cloud is a solution built from the ground up to fit the businesses of today and tomorrow – and help businesses move from an inside-out perspective to become demand-driven businesses of the future. By using an overarching end-to-end cloud platform, businesses can better facilitate the complexities and connections of their supply chain needs — reducing complexity, wasted time and duplication, through effortless assimilation of people, processes, and technology. But most importantly, this connected architecture means businesses can look beyond their supply chain to enable more integrated business planning within their organization. SkyBridge’s comprehensive phased approach ensures that the Oracle deployment aligns with your business strategy and goals. We follow both a top-down and bottom-up approach to deliver process alignment, application architecture, design and finally a detailed implementation. At SkyBridge, we take an innovative approach to supply chain management, helping organizations to transform the business. This includes supply and demand planning, manufacturing, product lifecycle management and innovation, transportation management, procurement, global trade, warehouse management, inventory optimization and much more. In addition, many clients have a broader set of ERP needs. Our portfolio of business solutions addresses a range of customer needs, including Project Management, Human Capital Management, Financial Management, Procurement, CRM and Business Intelligence.